Worlds upon worlds. All threatened. Play the trial for FREE! Pay once & complete the adventure! You travel to the frozen mountains of Iceland to investigate the disappearance of a scientific research team sent to find and study the mystical element Harmonium. Quickly you realize that Professor Bennett and her aide have been kidnapped by a mad scientist, determined to use their findings and unleash the power of this magical material to take over the world! Doctor Schroder wants to use the power of Harmonium to open a portal to Eloria and locate the legendary Obsidian Book. The fate of both worlds is resting on your shoulders! 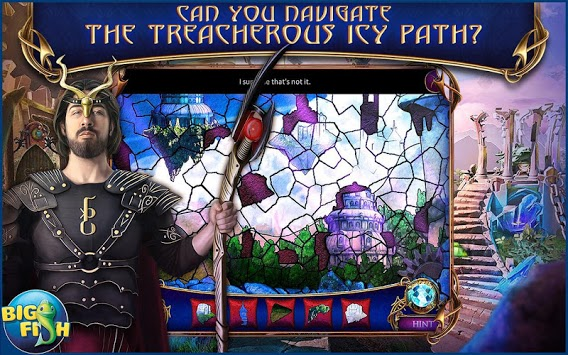 • CAN YOU NAVIGATE THE TREACHEROUS ICY PATH? 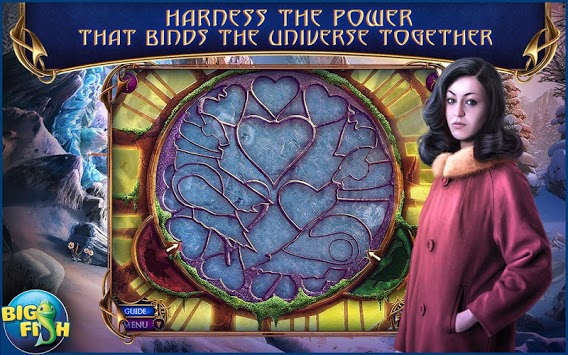 Tread lightly and plow through a snowy world filled with exciting hidden object scenes. Use the Harmonium Collector to help you solve intricate puzzles and epic mini-games. See where the story began and enjoy additional Collector’s Edition exclusives including morphing objects, achievements, and more! 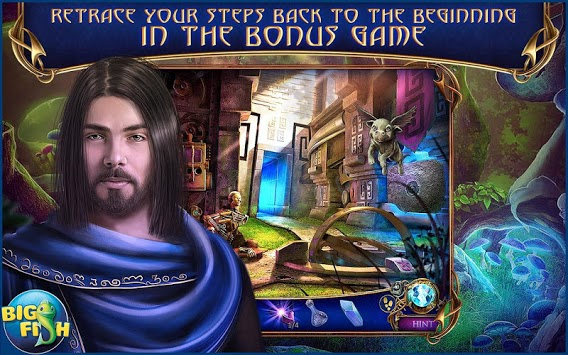 • Find thousands of hidden objects, plus solve tons of mini games and puzzles! • Unlock this incredible Collector's Edition to gain access to all of the amazing bonuses and additional gameplay! Visit Big Fish Games, a leading developer, producer, and publisher of puzzle, adventure, casual, card & casino games!